Whether you are a foot-tapping wallflower, or a full on River-dancing Lass or Laddie, tis’ the rhythms of the Emerald Isle that inspires the smiles. Need a more Cinematic and Pastoral feel? Spectral Celtic Women barefoot in the foggy heather more your style? Recite the prose of Yeats while ye’ ponder these. Finally, let us one and all raise a pint and get properly rowdy! Cut loose with the Blarney because the Irish know how to celebrate, or my name ain’t Shamus O’Mango… Slainte! 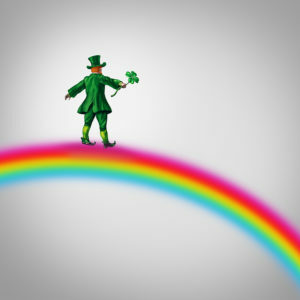 If you are seeking the best Royalty free music for license, for your video or St. Paddy’s party, the rainbow ends at Tunefruit.com. This entry was posted in Tunefruit In Season and tagged good royalty free music, irish stock music, rf music, royalty free background music, royalty free music, royalty free music download, royalty free songs, song licensing, st. patricks day, youtube royalty free music by Guava Tunefruit. Bookmark the permalink.